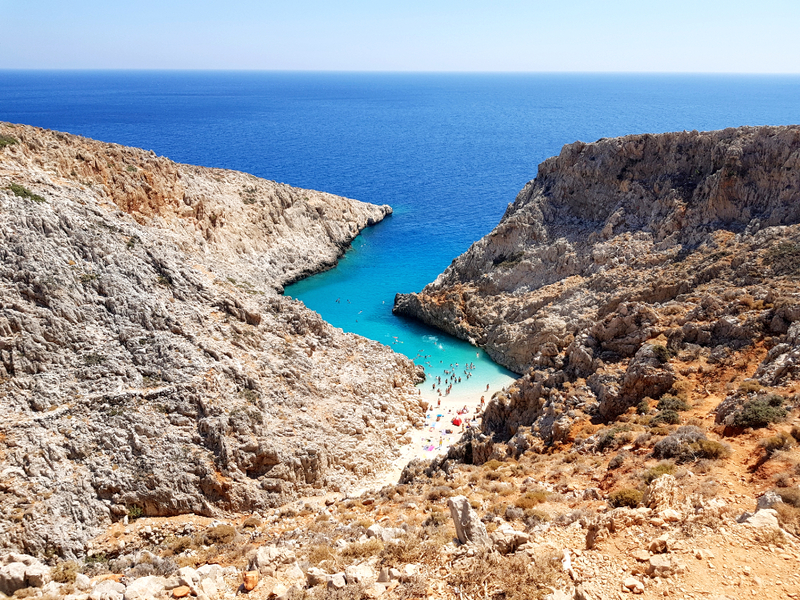 Crete is a pretty big island, especially compared with other islands in Greece. So I recommend documenting your trip in advance and making a top of the beaches you want to see. That will help you choose the airport where you will land and where you will get your accommodation. 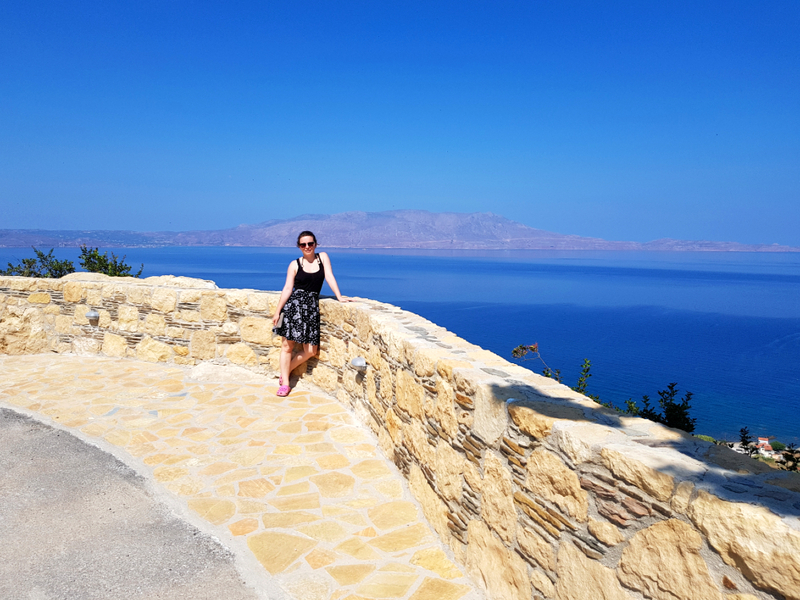 Since this was our first time in Crete, I HAD to see Balos and Elafonissi. I dreamed of these two beaches for so long and they didn’t disappoint. 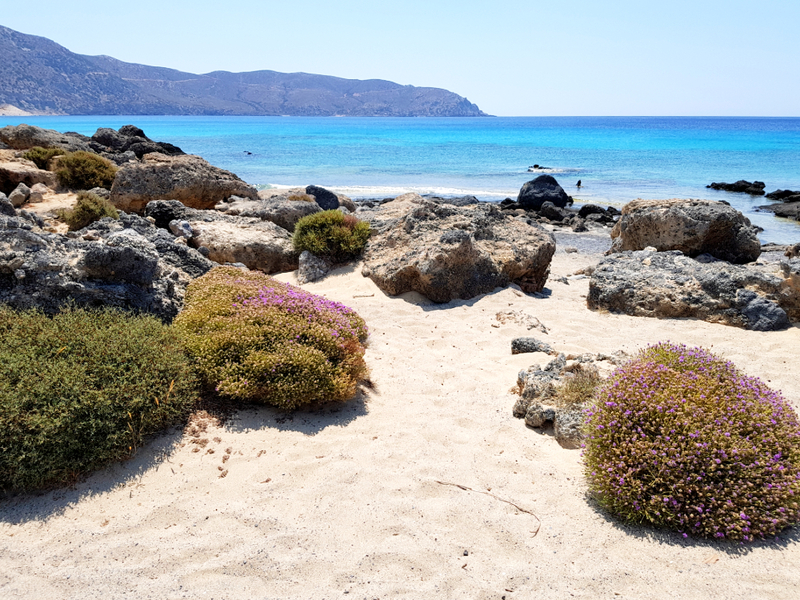 There are other beautiful beaches in the western part of the island, but I hear the best for snorkeling are in the East, closer to Heraklion. So make sure to check both before deciding. 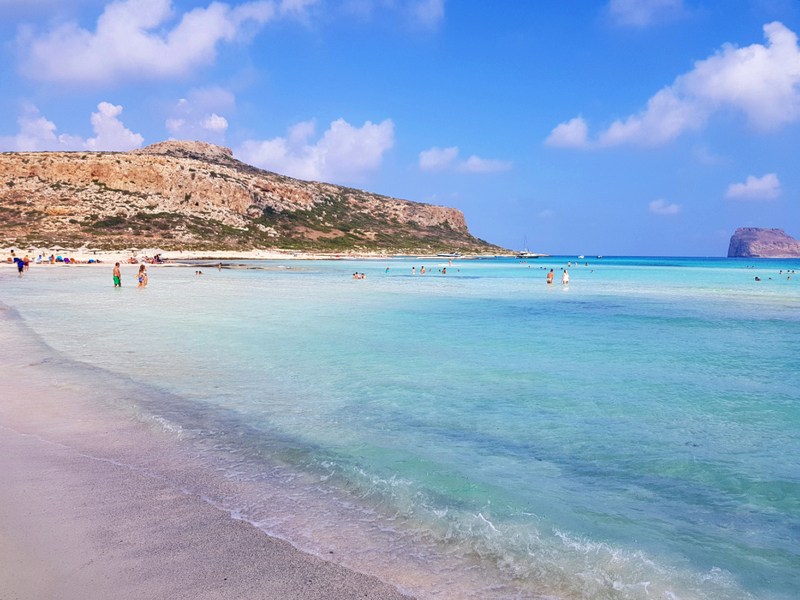 Now here are my favourite beaches near Chania. 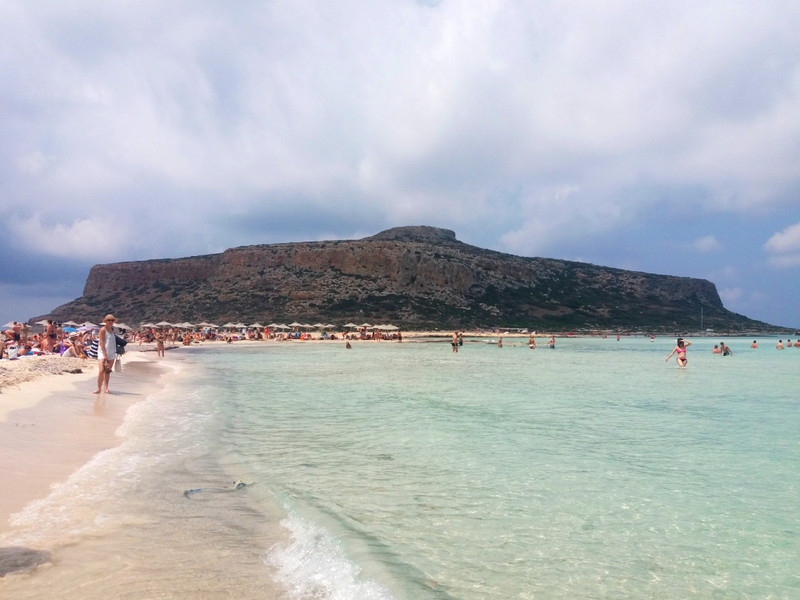 I don’t think you can visit Crete without going to Balos Beach. It’s just like all the photos you see on Instagram, but even better. There are two ways to get there. I think the preferred version is with the boat. It’s a lot less physical effort. 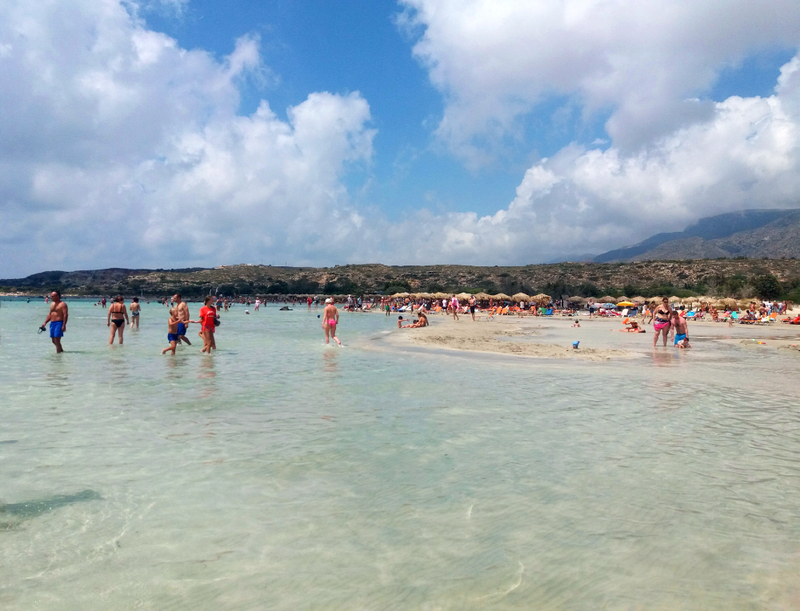 The downside is that you have to pay 25 Euros per person (no food or drinks included) plus your time at the lagoon is limited to a couple of hours and spent with the crowd of tourists you just shared the boat with. Since we had rented a car already we decided to take the other road. A good chunk of it was pretty rocky, but the view was beautiful. Once you reach a parking space pretty high up the hill/mountain, you leave your car there and descend on the other side of the hill to the lagoon. 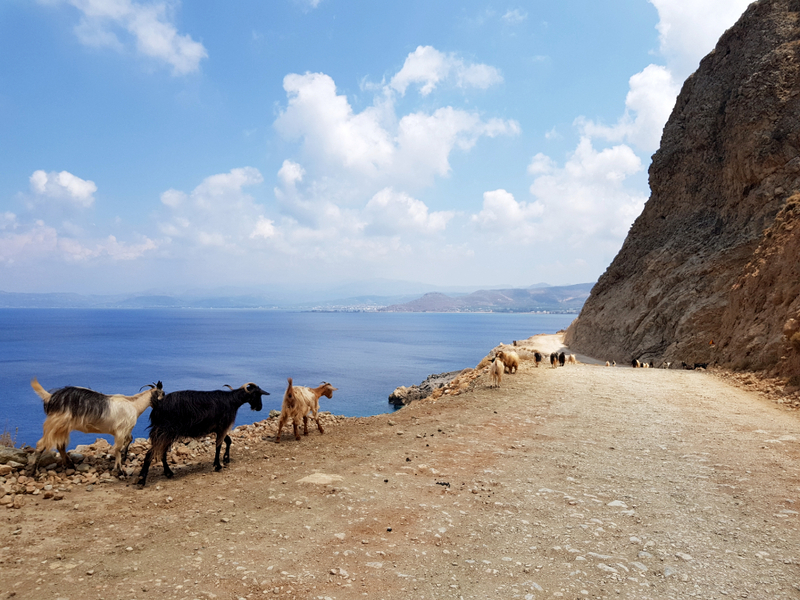 Going down is not that bad even though it’s practically a goat road. Especially since you get a literally breathtaking view over the lagoon. It doesn’t even seem real at first sight. You get a feeling of being in front of a huge panoramic 3D screen. It’s probably one of the most beautiful things I have ever seen. 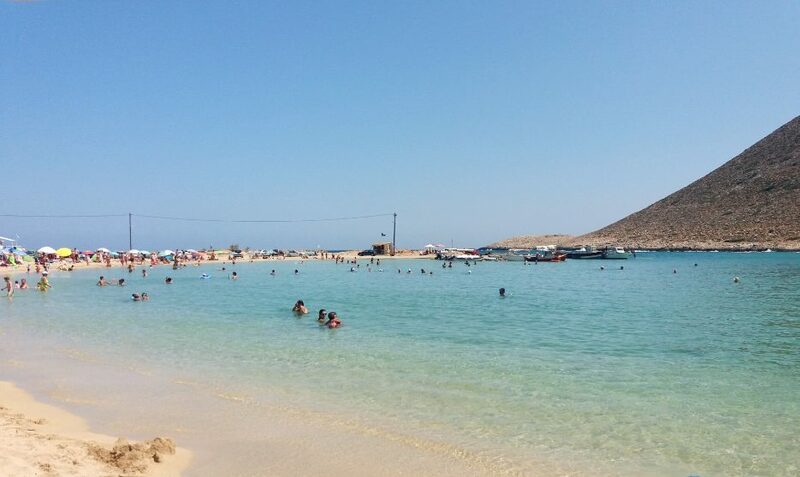 You should definitely try to arrive there as early as possible in the morning so that the beach is not that busy. There are sun beds, but pretty limited. However you can stay just on your towel if you’re not that pretentious 🙂 We didn’t because people tend to come and go, and sun beds are bound to free up from time to time. There’s a beach bar there serving drinks and snacks but I recommend bringing your own. And prepare for the long way up when returning. It’s quite a hike, but totally worth it. 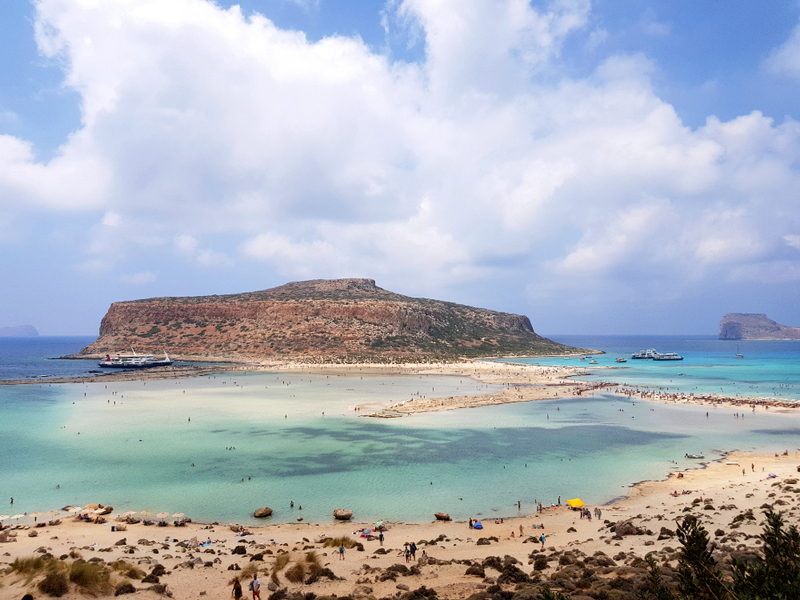 Although Balos was more impactful in terms of scenery, Elfanoissi is my favourite beach in Crete so far. It looks like a continuous mix of gold and pink sand with blue and turquoise water. Wherever you turn there is shallow water broken by strips of fine sand. It’s a DREAM! It’s easy to reach, but finding a free parking space and sun beds is a nightmare. Especially if you arrive in the afternoon as we did. 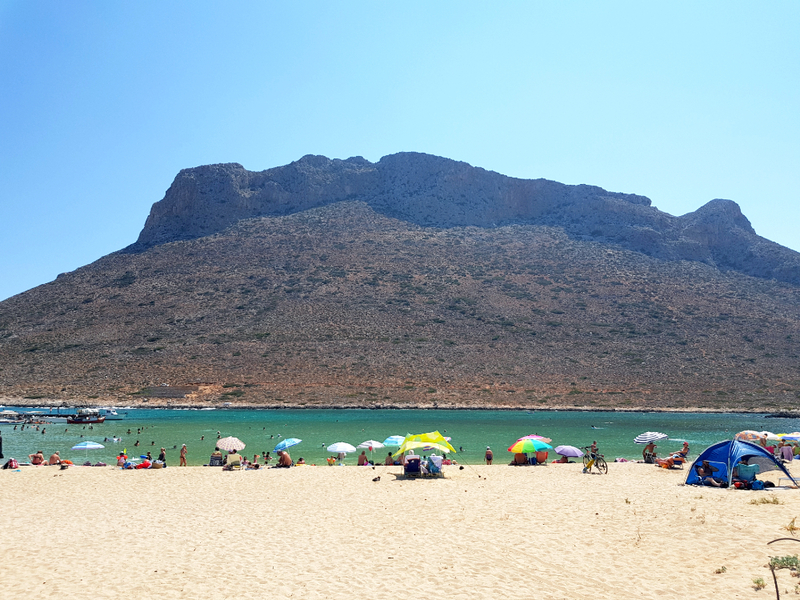 There are places where you can eat there – I had a delicious dakos, and where you can buy drinks or things for the beach (towels, snorkels, etc.). So, again, I recommend arriving as early as possible in the morning to get a good spot. 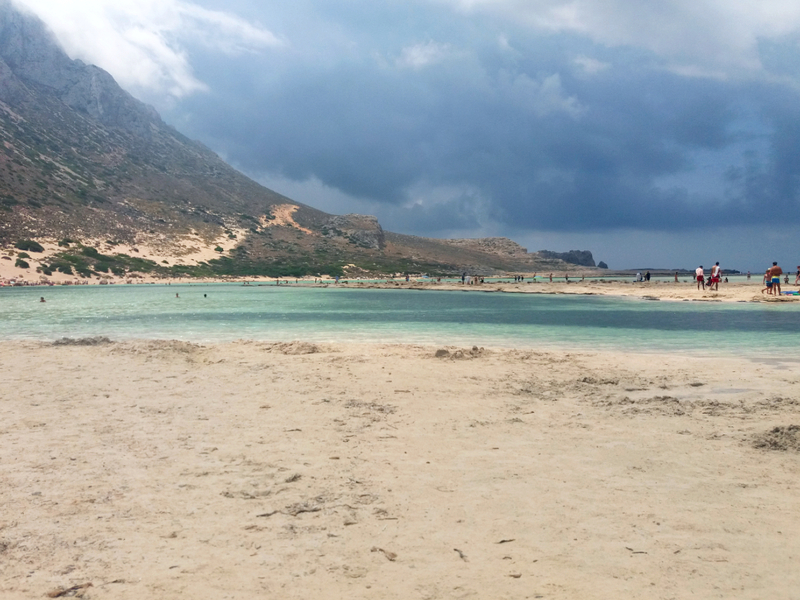 I think we stumbled upon this beach by accident, but it became one of our favourites. This one is again easily accessible by car, but you have to walk a bit from the parking spot to the actual beach. 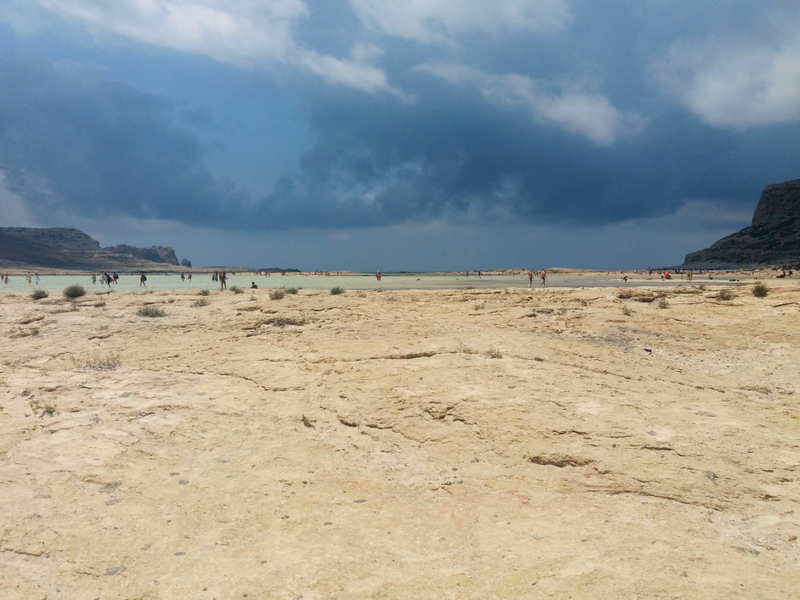 We chose a more secluded spot, with no sun-beds or umbrellas. 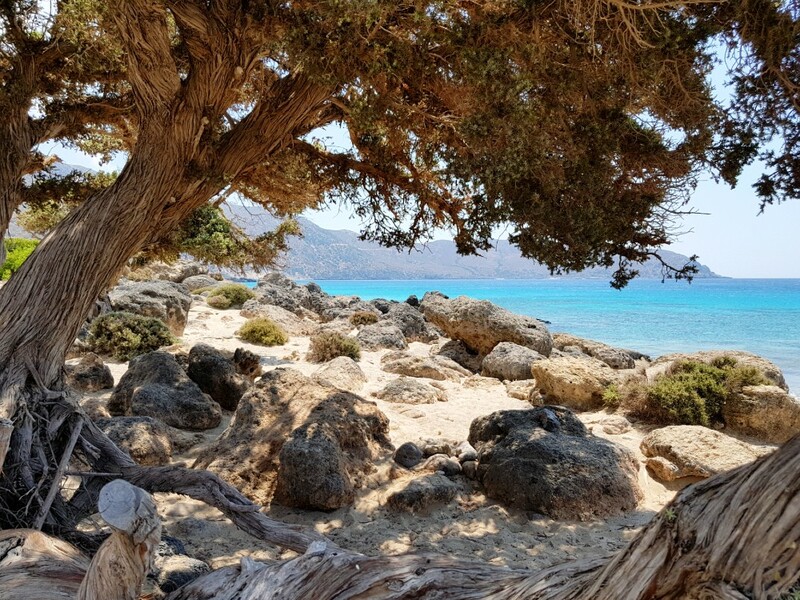 Kedrodasos actually means cedar grove, so there’s enough shade and the views are amazing. 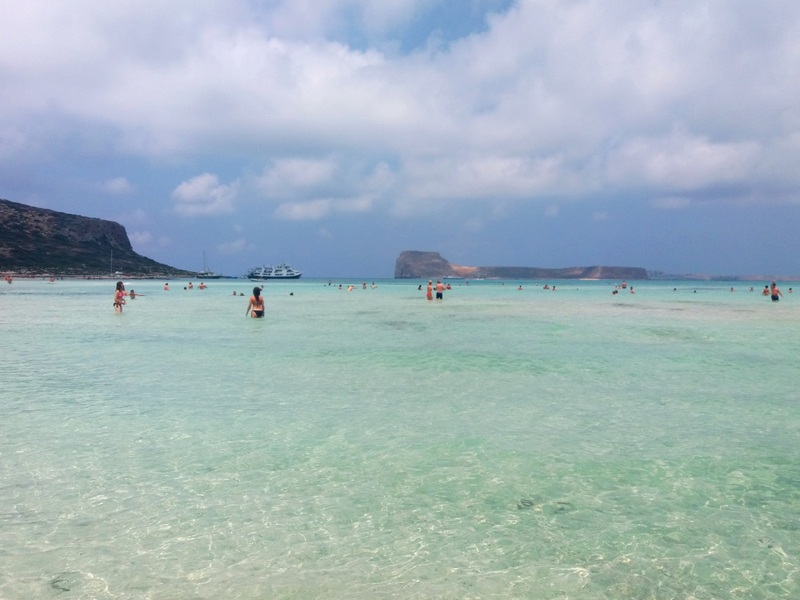 Although not as hyped about as Balos and Elafonissi, we loved this beach so much! The road there is so good and the parking much easier than the other beaches. The water is turquoise blue and not that deep. It’s a good spot for snorkeling too. The best feature of the beach, besides the water, has to be the view of the hill in front of the beach. 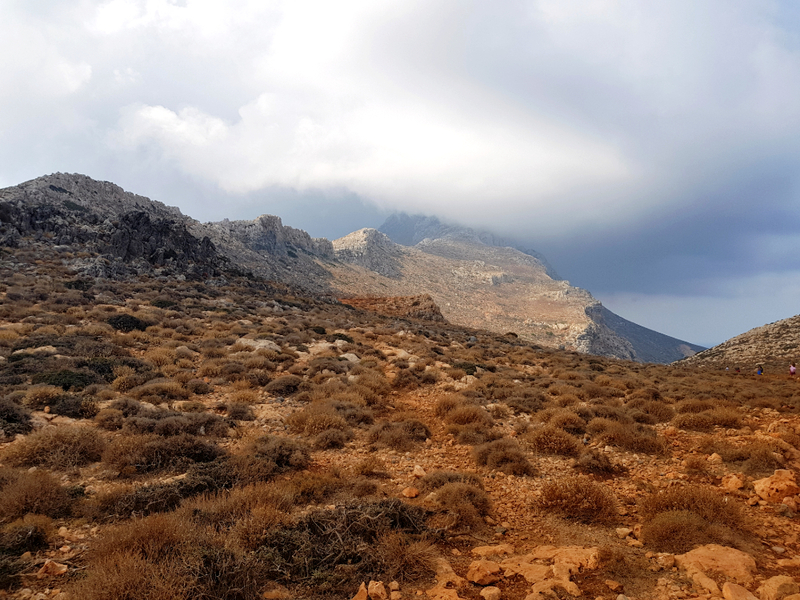 And the fact that Zorba the Greek has been filmed here is just another bit of (recent) history that makes the place that more special. To that, I would add that we had one of the best meals ever, but more about it on another post. 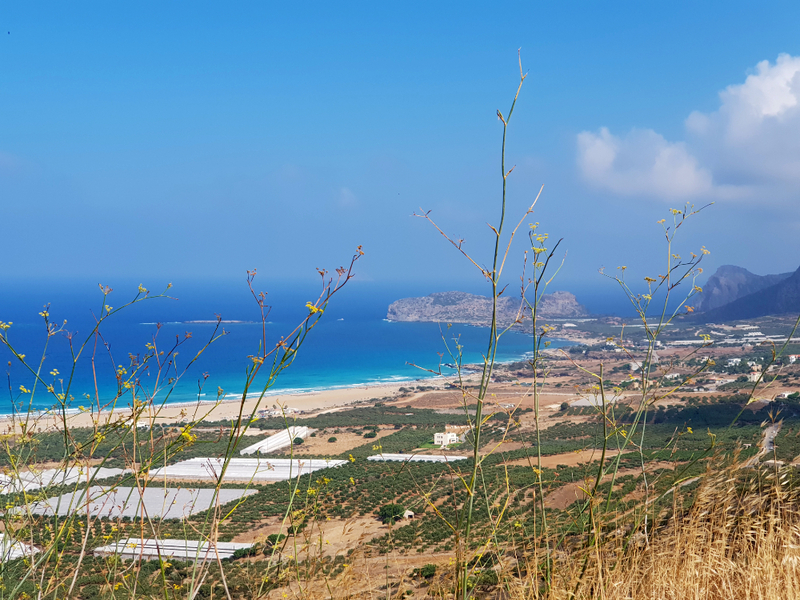 It’s also super close to Chania in case you are staying in the city. The first beach we were recommended to check, by the locals, was Flassarna. So it’s the first one we drove to. 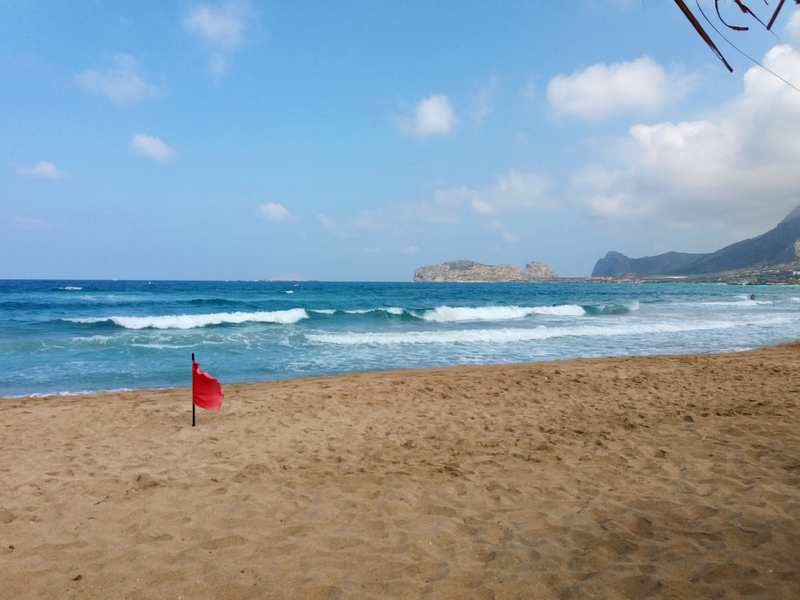 However, when we arrived there were big waves and a red flag so we couldn’t swim there. We went to Old Falassarna and I think there’s a New one as well, but we couldn’t find it. The beach is sandy and on a calmer day, I think the waves are perfect for rumbling and tumbling. So maybe we will give it another try next time we’re in the area. I did read that August tends to be very windy in this area hence the large waves. 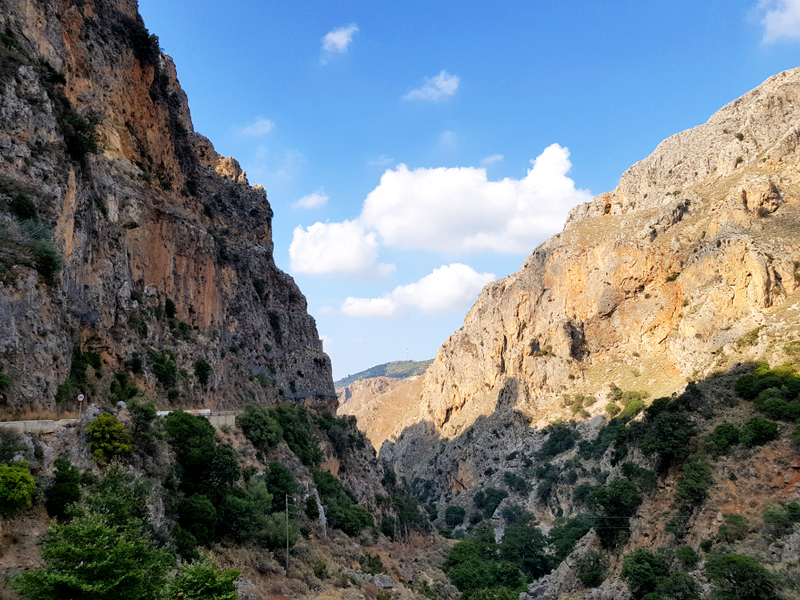 It was also quite a long drive from our accommodation in Kissamos, so that’s why we didn’t return. 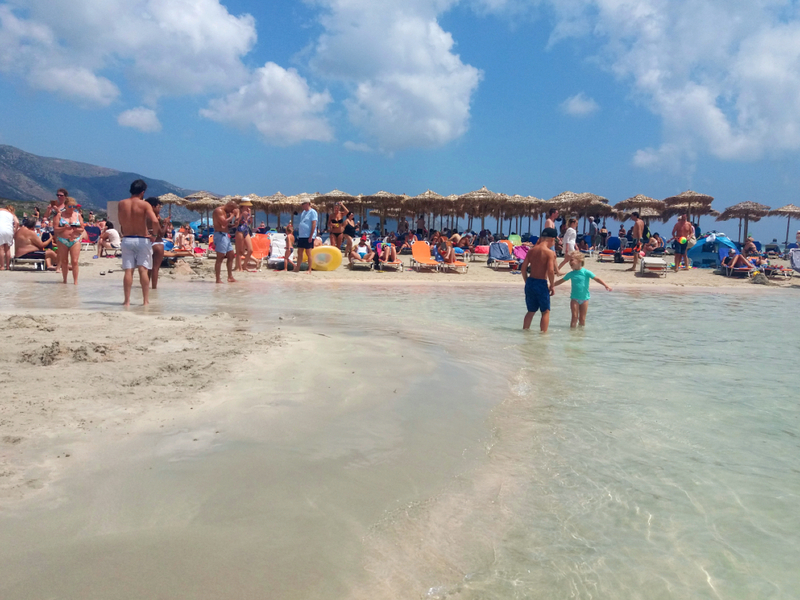 But the beach bars there seemed nice and there are a lot of restaurants and tavernas on the way there. I saw so many photos of Seitan Limani on Instagram that I felt like I had to go there. The road to the beach is so abrupt and winding, probably one of the scariest I’ve ever been on. As we stopped to take some photos a rented car lost its brakes, tried to stop in a rock and turned on it’s back in front of us. No one was hurt, but the girls in the car were shaken and so were we. 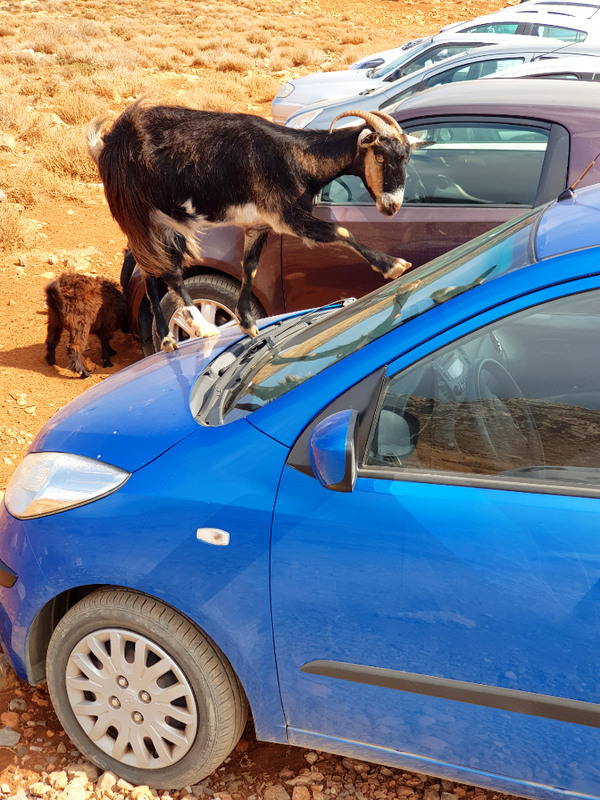 After witnessing this car accident we arrived at the place were people park their cars before hiking down to Seitan Limani. The hike looked abrupt, with a cliff on one side and a ravine on the other. I was so scared by the accident and the sight of that road that I couldn’t make it down. I felt so bad for my boyfriend having to drive quite a lot up to there and not being able to make it down. 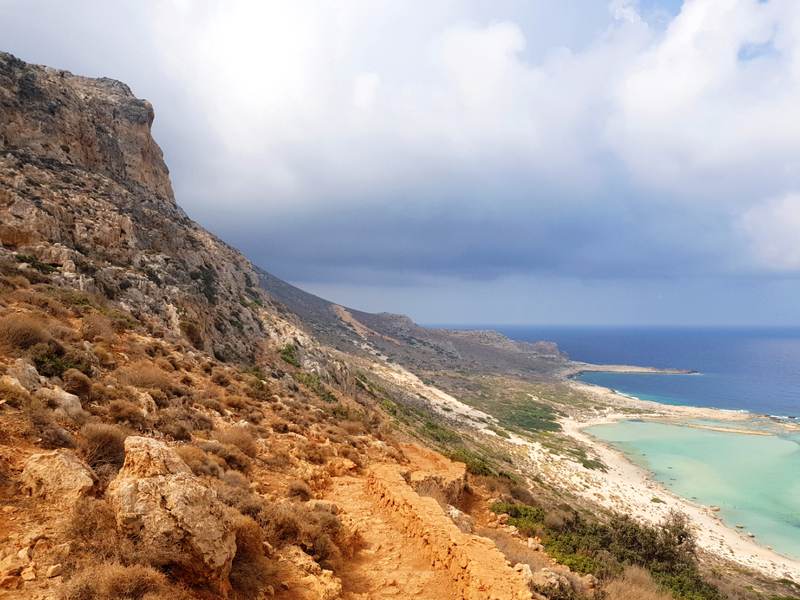 But he was understanding, we took some photos and went back to Chania for some sightseeing. 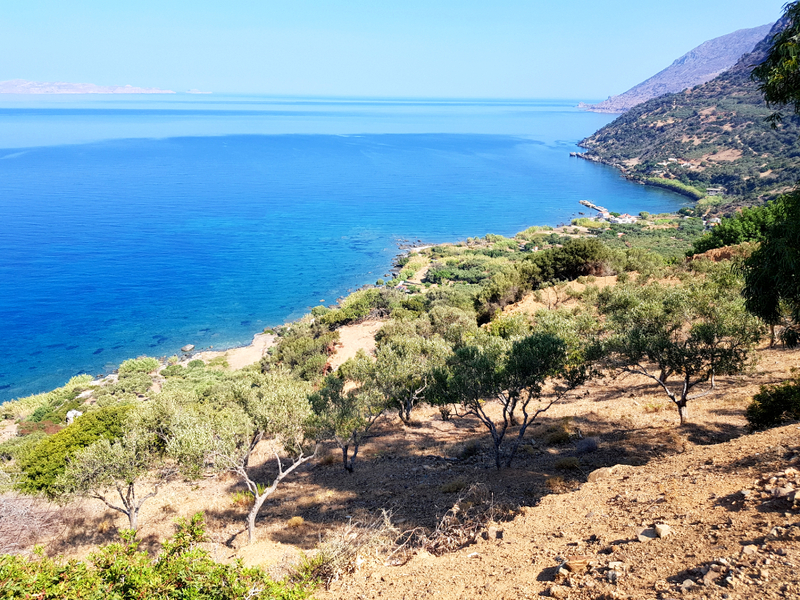 On our last day in Crete we really wanted to do less driving and more relaxing. So our B&B host recommended Ravdoucha beach and she was so right. We loved it. 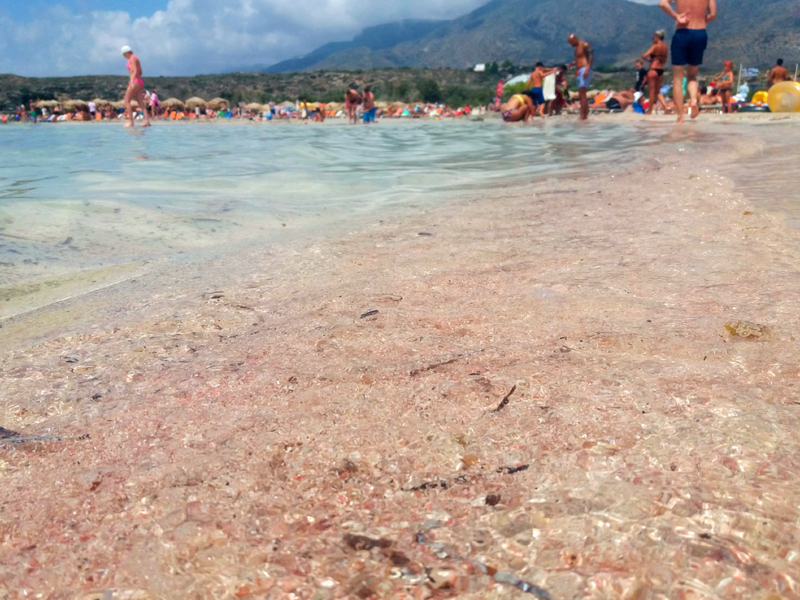 Ravdoucha is a pebbly beach, so if you’re looking for fine sand, keep looking. Also make sure to bring your water shoes for your feet and your snorkel, because you have what to see here. 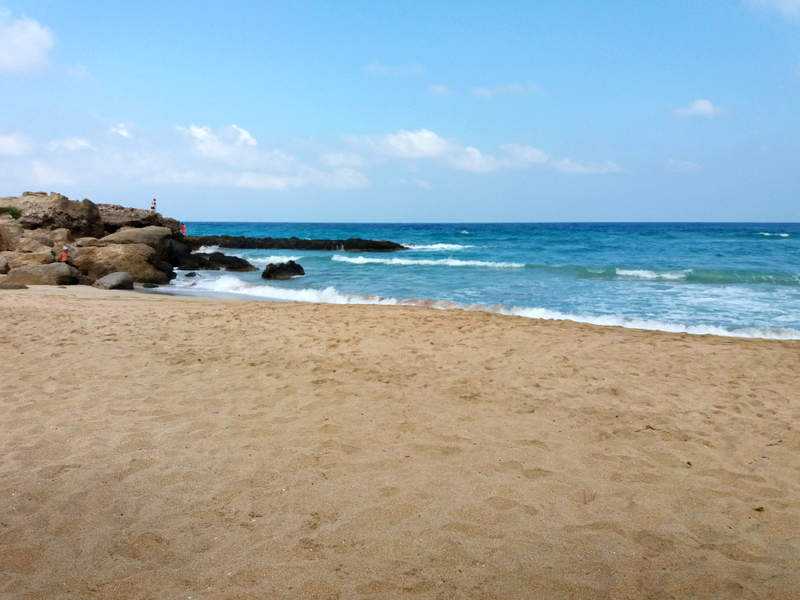 The beach is pretty small, but since it’s quite secluded it wasn’t crowded at all. We spend a perfect afternoon cooling in the water and reading at the trees’ shade. Another thing worth mentioning is that there are no beach bed either. So make sure you have a towel to lie on. 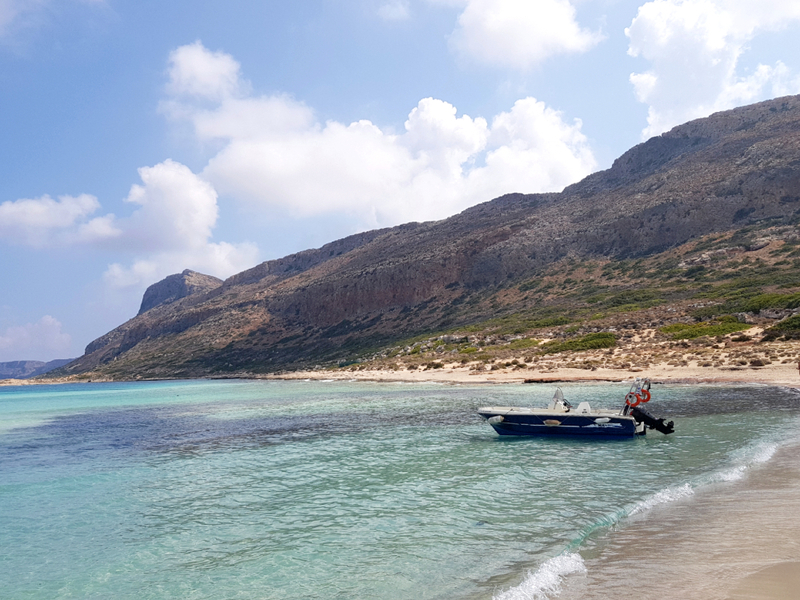 When we decided to come to Crete we chose Kissamos because it was a good distance both from Chania and Balos and Elafonissi. And although it didn’t have the prettiest beach, it was the first thing we did when we arrived. We were kind of exhausted after the long road and drive. So after settling in we went for the closest beach. I really liked the wide sandy beach and the laid back fill. The water wasn’t bad either though not as clear due to the dark sand. But it was a great start for a fantastic vacation. And it was also the perfect end to our trip, as we took a last dip right after sunset – so romantic! 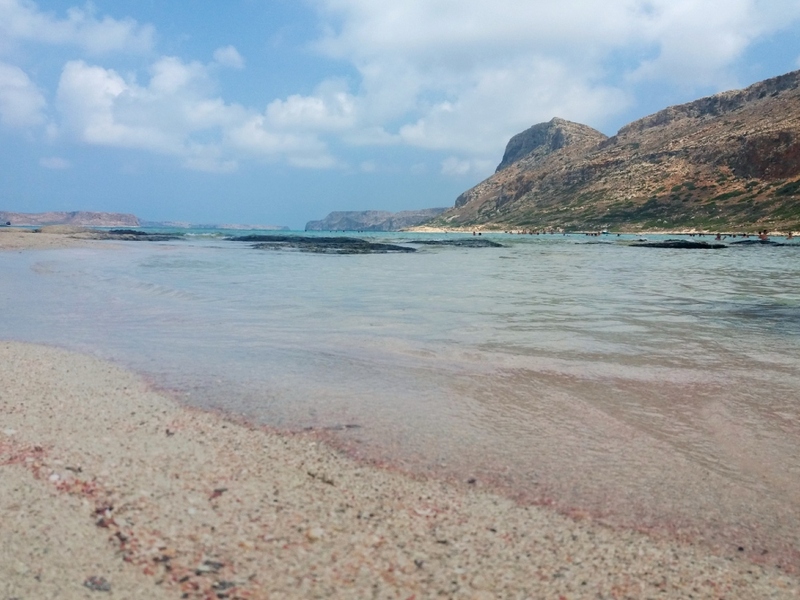 These are just a couple of the many beautiful beaches Crete has to offer. 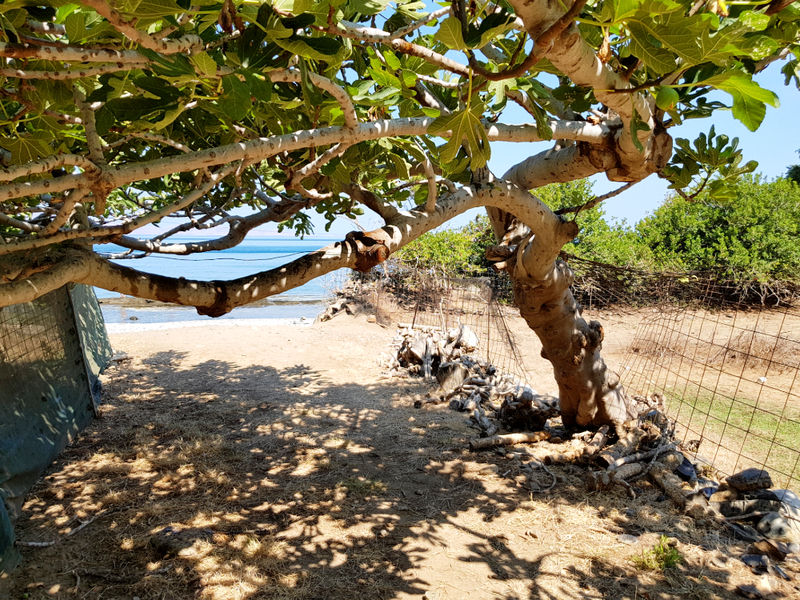 You must have a car to explore the part of the island you are visiting. I feel like it’s such a shame to stay in one place and not be able to see all the wonderful beaches and unique sights. Keep an eye on our blog for a foodie tour of the island. 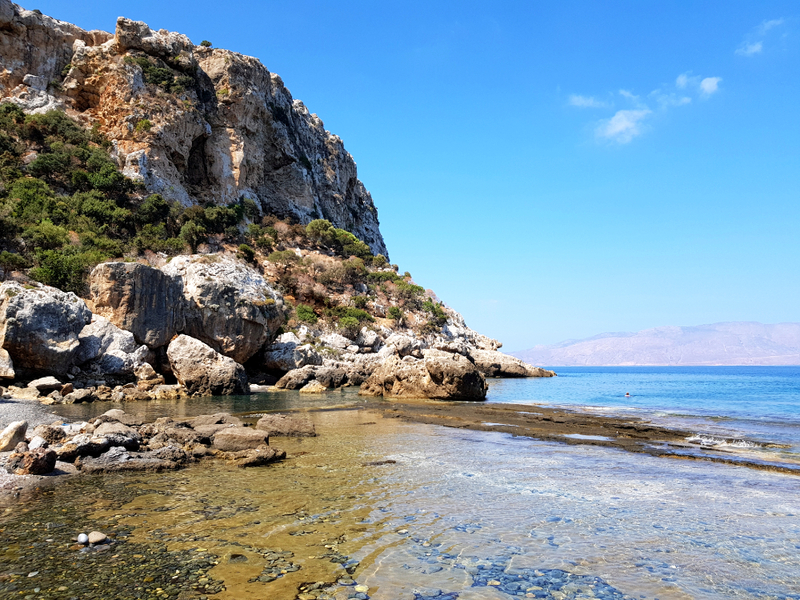 And if you are still not decided where to head to for the summer vacation, here are some destinations we covered so far: Thassos, Malta, LA, Corfu, Nerja.